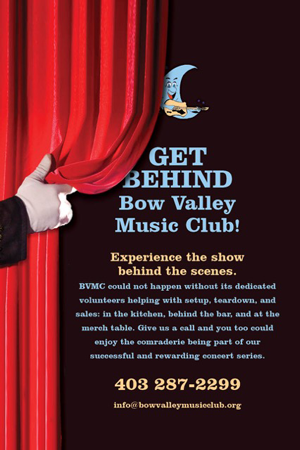 Get Behind Bow Valley Music Club! Experience the show behind the scenes. 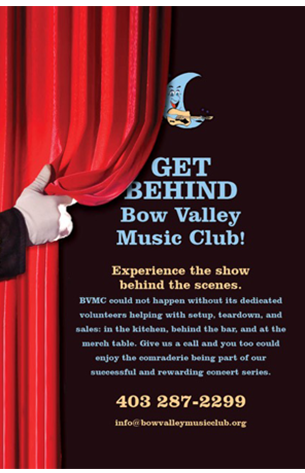 BVMC could not happen without its dedicated volunteers helping with setup, teardown, and sales: in the kitchen, behind the bar, and at the merch tables. Give us a call and you too could enjoy the comraderie being part of our successful and rewarding concert series.